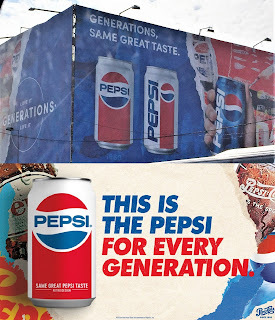 I am very very excited about the new Pepsi ad "Generations. Same great taste" which popped up in Lebanon. 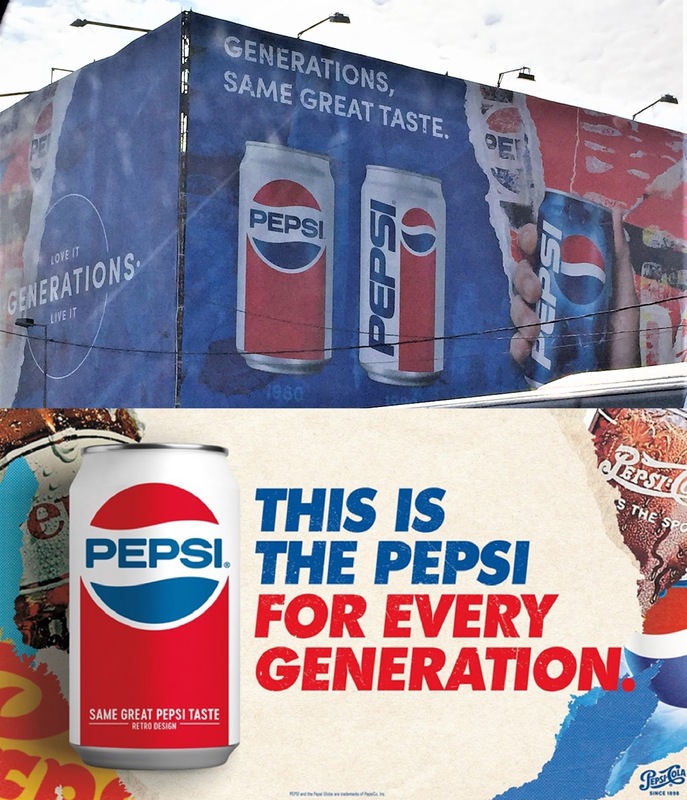 As I researched the original "choice of a new generation" ad I fell on this Pepsi ad "this is the Pepsi for every generation" - which shows how the ad was produced locally while keeping in line with international guidelines in terms of wordplay, the "torn" effect on the ad to reveal a previous Pepsi ad beneath it, and the harping on previous can designs which is put center stage.